I don’t like the expression, Stone Fruit. Not only does it sound pretentious, but it makes my teeth hurt. Being the proud owner of a priceless set of veneers, I can’t bite into “stone fruit” without some trepidation. Each bite could be my last (for the tooth, that is). Biting into anything could be dangerous actually! I lost a veneer once while eating a bowl of soft freaking noodles! Imaging my terror when I’m faced with a sandwich on crusty bread. And don’t even get me near a whole apple. 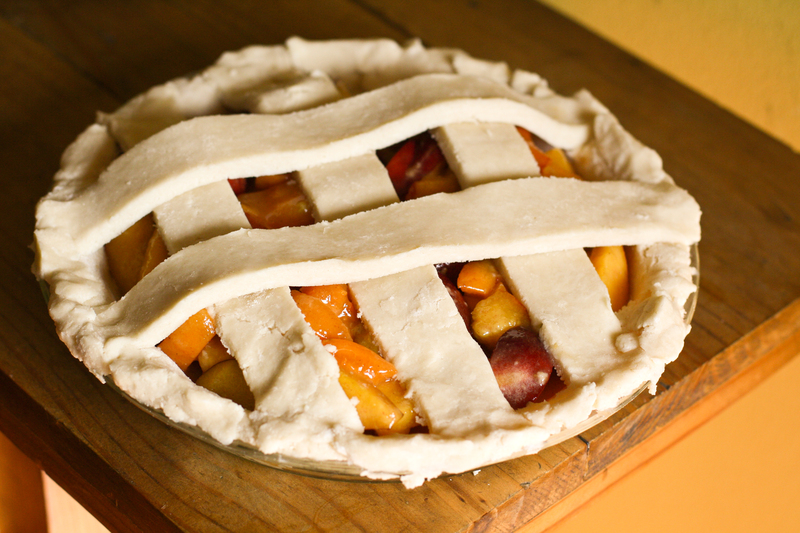 Since it’s still stone fruit season and I’m drowning in the stuff, I thought I would make my first pie from scratch. 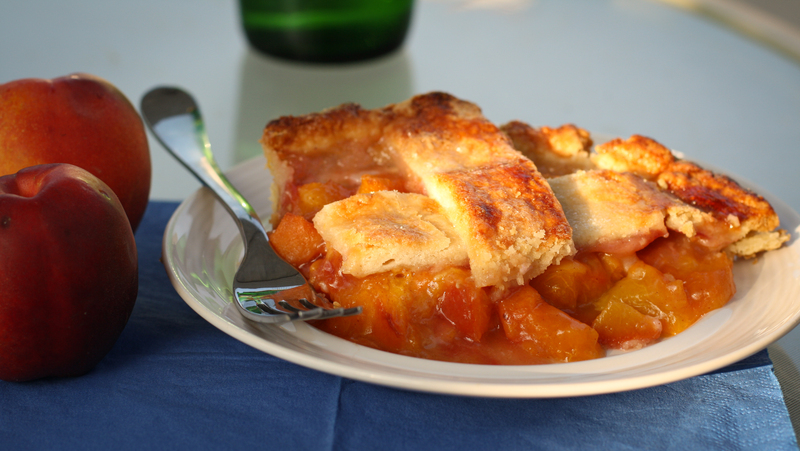 What I learned from making pie crust from scratch is that it’s worth it. Once. Try it once, enjoy the thick, flakey, buttery fruits of your labor. And then keep it always in your memory and only use store bought from then on. 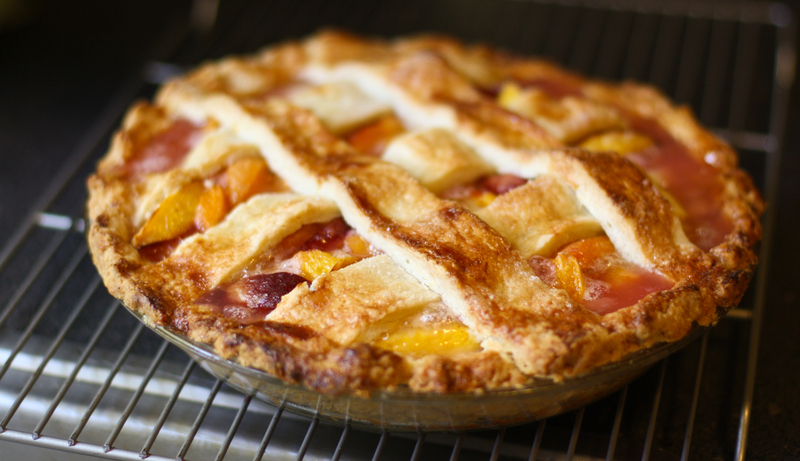 You’re too lazy (and also a little dumb) to make pie crust from scratch. Remember that. Write it on a dry erase board or something. Unless you’re a bored housewife with the patience of a saint, you will be completely drained at the end of your crusty session and will pop a few percocet (or whatever the kids are taking from mommy’s purse these days). Stone Fruit. Use it in a sentence today. Look really serious when you say it. Please. It’s important to me. P.S. 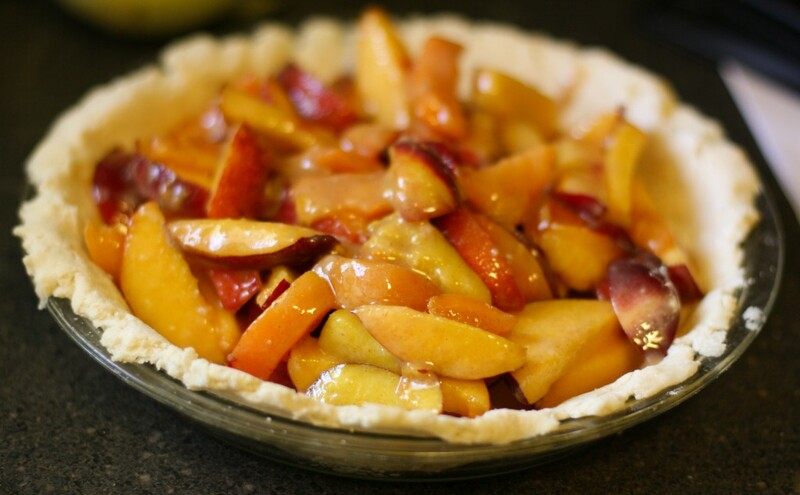 If you don’t know what a Stone Fruit is, some examples are: Peaches, Apricots, Nectarines, Plums and Cherries. For more deets, Wikipedia that sh*t! Oops, I screwed up the lattice! Oh well! Lazy Crust Maker Alert! that crust looks insanely wonderful! The only trouble is…IT WAS! Cut in cold high fat butter. 🙂 Works everytime. I’m no pie maker though. Yes, i froze the tiny cubes of butter over night, a sh*tload of it!